CEO Alicia Navarro is one of the few female tech entrepreneurs in London, having launched Skimbit.com in Australia before heading over to Europe to immerse herself in the world of tech startups, where she adapted her business quickly to launch Skimlinks.com. Alicia's vision for Skimlinks is to see online publishers rewarded for the role they play in informing purchase decisions, by removing the technical and administrative complexities that hamper would-be affiliates. This, she believes, will help evolve affiliate marketing into a mainstream ubiquitous revenue model. 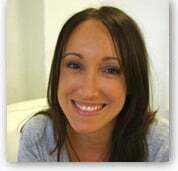 Alicia worked for over 10 years in internet applications, designing and launching mobile and internet-based applications in Australia and the UK. She has a Bachelor of Information Technology and the University Medal for Computing Sciences from the University of Technology, Sydney. Alicia's ideal food adventure would be blue cheese & champagne in France, oysters in her Sydney home, and paella in the Balearics. At the office, Alicia enjoys teaching the team unusual words like 'ruminate' and 'gesticulate', and she can't function without at least 50 firefox tabs open at any given time! Follow @alicianavarro on Twitter. Alicia is a seasoned industry speaker, and authority within content monetisation. If you are a member of the media and would like to interview Alicia, or you would like Alicia to speak at your conference or to your organisation, please email [email protected].